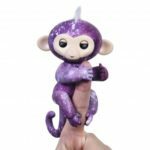 Fingerlings are designed to respond to all kinds of movements and sounds with various animations like monkey babble, cute blinking eyes and head turns, plus hands that grip and a curly tail. 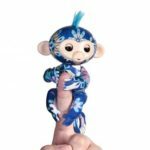 Your little ones will fall in love with the adorable finger-cuddling robotic monkeys that bring the cuteness and surprise to fingertip. 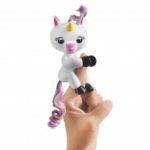 And they can interact with each other, so collect them all and name them as you like! 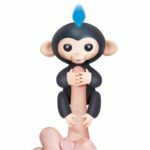 Hang them upside-down by the tail and watch them monkey-around! Swing them around for even more fun. Cradle them in your hands, rock them to sleep and watch them drift off to dreamland. 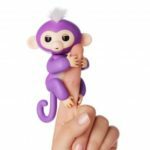 The baby monkeys bring friendship to your fingertips with love, hugs, surprise and mischief.